Through our relationships with the best hotels, guest houses and transport providers we will ensure your journey is how it should be. 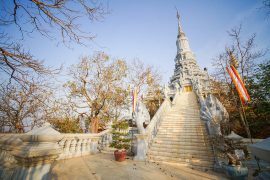 Our local knowledge also ensures we can deliver the best cultural, adventure and spiritual experiences that Cambodia can provide. Through our local knowledge we can create a customised journey so that you can experience the best that this vibrant country has to offer. We like to take the time to understand what you desire from your holiday and match you with a guide that will make sure your journey is the holiday of a lifetime. We can arrange all your flights, accommodation, transport, tours and activities. We have a 24 hour help line available to deal with any unforeseen event or emergency. Our local staff have the knowledge to guide you to the best activities and experiences that Cambodia has to offer. Our local staff has taken the time to form relationships with the best hotels and guest houses for every budget. We will deliver the best travel and tour experience to ensure you get value for money. In addition to our own tours we can arrange a wide variety of activities. From horse riding and scuba diving to fun activities for the whole family talk to our team about how we can make your holiday even better. Vacation time is precious and for many client’s limited. By understanding your requirements, we can plan a tour or travel experience that makes the most of your time available.